When Eden discovers he possesses forbidden magic, keeping his affair with the crown prince a secret becomes the least of his worries. Eden has always obeyed the laws of Rolaria. He spends his days teaching children how to read in order to distract him from his mother’s bizarre disappearance. She worked in the castle before suddenly vanishing, and when Eden mistakenly receives an invitation to the Royal Ball, he goes to feel closer to her. That same night, Prince Jared must find a bride. But after an unexpected encounter between Eden and the prince, a relationship begins. After a night with the prince, Eden explores the castle on his own. Lost in the corridors, he stumbles upon a hidden room and finds his mother’s journal, whose pages reveal a lineage of outlawed magic. He soon realizes the castle walls not only hide his romance with Jared but secrets about his mother’s disappearance. 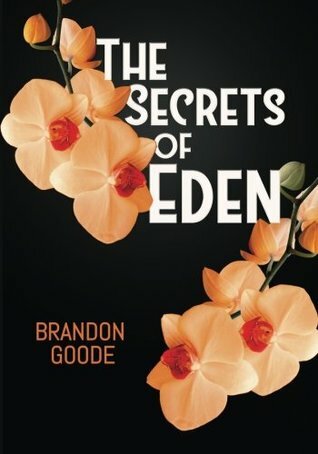 In order to unravel the mystery and understand his awakening abilities, Eden must risk exposing his relationship and thwarting Jared’s chances to rule Rolaria. The closer Eden gets to the truth, the closer he finds himself facing the same fate as his mother. I arrived at the ball with no help from a fairy godmother, no pumpkin carriage at my disposal, and certainly no glass slippers on my feet. The clock struck at half past eleven while serenading music emanated from the room as a chamber orchestra played a familiar composition. Being from the impoverished side of the kingdom, I wouldn’t usually attend a masquerade ball, but somehow a royal invitation arrived at the front door of my cottage. In the Kingdom of Rolaria, there were strict laws forbidding us lower class citizens associating ourselves with the upper class. It had been said since the beginning, Rolaria would be frozen in time. The penalty for breaking any of the kingdom laws was death or a lifetime in prison. In any case, I was already at the ball so if the invitation was delivered to me by mistake or coincidence it was too late. After giving my coat to one of the royal doormen, I proceeded toward the dance floor where I saw the King’s Waltz already in progress. I arrived alone and couldn’t participate in the graceful dance. The king and queen were at the center of the dance floor, boasting their mediocre dancing skills to all of their admiring guests. Taking advantage of this affair, I made my way to the banquet tables where all of the delicious food was residing. Two roasted ducks served as the centerpiece for the lavish feast. Blue sweet potatoes sat next to the golden corn, and squared briberry dinner muffins were neighbors with the tangy kimberry sauce. Sweet little dessert pastries were sprinkled throughout the table so that guests did not have to fight over them in one location. To the east of the buffet tables were two sets of double doors that opened out into the castle garden and to the west were seating areas to enjoy your plate of delicious goods. The last meal I had like the feast before my eyes was the one my mother prepared for me before she disappeared. Every evening she would prepare a grand feast of chicken breast with two fixings that we would share, but one night was different. She prepared more than just the usual chicken breast. She prepared a turkey that evening for our dinner. She encouraged me to begin eating without her because she had important business to attend to that wouldn’t keep her long, but she never returned. My mother always made sure I never lacked anything while growing up. She was able to sneak me books from her job within the castle and taught me reading, writing, and arithmetic. If my mother were here, she would’ve forced me to attend this ball. There was nothing more interesting to partake in this evening, other than teaching young children in the marketplace how to read. The King’s Waltz finally ended, and everyone began socializing. I overheard conversations about the royal prince and when he would marry and, if so, to whom. At a side table, there sat a few gossiping women in identical bird masks, talking about the king’s numerous extramarital affairs he had with his maids. This was the typical talk I assumed happened at balls, so I nodded to seem interested although I felt out of place. My eyes searched around the room to escape the remedial conversations and to admire the costumes being worn by all of the guests. I was surrounded by extravagant colors such as ivory and lavender on my left, and on my right the colors of peach, olive, and cream circled in socialization. There was a slender woman sporting a skin-tight green silk gown with a golden wire masquerade mask. Her slim figure and costume choice reminded me of a green tree python. Royal army men wore black masks with their scarlet uniforms. When they would group together it portrayed the image of a sea of rose petals, fighting across the current of the dance floor. Everyone was dressed in some of the best clothes I’d ever seen. I was definitely out of place. My costume was made from drapes I stole from the marketplace bookstore. They were black with golden lace and white pinstripes. I made my mask from one of the white lace dresses my mother used to wear so a piece of her would be with me tonight. “Are you Thaddeus?” a drunken gentleman who wore a harlequin mask asked me from behind. It startled me, but I didn’t want to be rude. I turned around to introduce myself. My mother told me that my name was one of the most creative and appealing in the entire kingdom. Every other boy in the kingdom was named something like Lancelot, Arthur or Charles. They were named after heroes that set out to make a name for themselves with impossible feats. “No, sir. I’m not.” Nervously I readjusted my mask to make sure my face was not recognizable. Wasn’t he supposed to be drunk? “Oh, I did not mean to bother you, young man. I thought you looked like someone I knew. I will be on my way now. By any chance have you seen any of the champagne being served tonight? I would love another drink. I feel like a fish out of water.” he said with a drunken grin. I pointed toward the end of the buffet tables where the champagne was being poured, and he skipped his way to another glass. After my exchange with the drunkard and with sudden dizziness from the gaudy costumes I made my exit to the garden. I’d never been inside the castle before but I needed air, and the garden seemed to be the best place to go catch my breath and rest for a minute. Stepping out into the garden, the aroma of jasmine and lilies permeated the air and struck my nose with a gentle kiss. Beautiful cherub inspired sculptures and two large fountains called the garden home. Looking around, I noticed different types of flowers were planted in a design that paid tribute to the royal family’s crest of white, lavender and green. “It’s magnificent isn’t it?” A voice startled me from behind. “Why it is one of the most magnificent gardens I have ever seen. You must have read my mind,” I replied without turning around. The lie escaped from my mouth to cover up the truth that I really did not belong in there; hopefully, this inquirer would believe me. Quickly turning around to see the stranger, I was shocked at what I saw; this mysterious gentleman was handsome. He was about a foot taller than me with straight brown hair styled over his forehead and down onto his mask. His skin was like milk mixed with a pinch of cinnamon and some honey, which gave him a rich complexion. The bone structure of his face was sharp with his defined jaw line. He had slight stubble prickling out, and his nose was slender and raised at the tip making it the perfect shape. He flashed a short smile from behind his full lips, and his amber eyes became illuminated in the mystical moonlight. I could tell this gentleman was established from his exquisite white and silver costume, and the mask that covered the top of his face was lined with diamonds. He stood with his arms folded tapping his foot. He then started to shift his weight from one foot to the other. “I don’t believe so. I’m new to the kingdom,” I lied again. “I received an invitation from the royal messenger, and I try not to disappoint people so I came.” I smiled because I could feel his eyes trying to hypnotize me. They were staring right into mine and the moonlight gave them a celestial gleam. I started to walk back inside to escape this stranger, but he stuck out his arm blocking the doorway back inside. His attractiveness was leaving me defenseless to his questions and my escape back into the ball would have been the quickest exit. “Don’t leave yet. We’ve just started to get to know each other. I rarely talk to people in this kingdom because they seem so mundane, but, looking in your eyes, I feel that you are different. So, don’t leave so soon. I may be making a new friend.” He then looked into my eyes again, and, this time, I felt drawn to this mysterious gentleman. We both reached out our hands to go for a handshake, but my hand fell short and his hand brushed the top of mine. When our hands brushed there was a spark, and I knew from that moment, this mysterious stranger would possibly become something more than a friend to keep me company at the ball. “It’s okay, and no need for apologies.” His lips curled into a grin, and I could tell he was thinking of something by the way his eyes started to wander. “Okay, so why are you out here in the garden talking with me instead of inside enjoying the ball?” I questioned, attempting to throw off whatever he was thinking. “That’s understandable. I, too, had a run in with the drunkard.” I nervously laughed. I was glad that he paid no attention to the drunkard’s words of an uninvited guest. I noticed that he was situating himself closer to me. If anyone else tried to get close to me I would have run away by now, but for some reason, this felt different. He was taking baby steps thinking that I wouldn’t notice, but I caught on to his movements. The moon that was playing hide-and-seek behind the clouds all night finally decided to reveal itself. When the moon was out completely, I noticed that the stranger’s features were ten times better than when they appeared in the shade. “You know what they say about the moonlight and two people?” he asked, and I felt puzzled. I didn’t have a clue as to what he was talking about. I’ve never heard anything about two people and moonlight. Was this something important that only certain people knew around the kingdom? Before I could react to his answer, he grabbed my shoulders and kissed me. Our lips met as if they were hungry animals going in for a kill, and I became intoxicated. The kiss didn’t last long, but I was now hooked onto this mysterious friend I had made. After the kiss, I was silent from shocked passion, and my words couldn’t formulate properly in my head. The stranger analyzed my paralysis and he looked worried. “I hope I did not frighten you, it just felt like it was the right thing to do.” He then began to pull me in closer to him, and our eyes met again. “It’s okay,” I assured him. “I trust you for some reason, and oddly, it felt fitting to me, as well.” I’d never kissed a stranger before, but it seemed right. “I lied to you earlier.” he looked at me nervously, “The reason I’m in the garden is because I saw you come out here. I saw you when you made your entrance into the ball and I had to introduce myself. You arrived alone, and I took it as a sign that you don’t belong to anyone so I acted on my instincts to talk to you before tonight was over. I also noticed your slight dismissal of the King’s Waltz, and I have to admit that I don’t care for it either.” His eyes were locked in on mine, and I could feel him trying to convince me not to leave. “Well, thank you. I’m charmed. No one has ever said that to me before. I guess I should tell you my name?” I wondered if he would care that I was from the marketplace instead of coming from wealth like him. Would he run away from me after knowing the truth about who I was? “Not just yet, I do like the mystery between us. Something about this mystery makes our meeting more interesting. It’s like fate brought us together tonight and led into the garden where the moon would bless our meeting.” His words were soothing and everything that he said sounded like pure perfection. He then took my hand and led me to a bench that sat closer to one of the fountains in the garden. We spent almost an hour talking about the evening and where we hoped our connection would go. The evening started off isolated and confusing then somehow turned into something special. Who knew that coming to a masquerade ball would end with such a lovely encounter? Suddenly, I heard the king cry out from inside, drunk and slurring. “Jared! Jared!” I had never met the prince, but from the way the king was yelling I could tell he probably always avoided his father. “Jared! There is someone in here I would like you to meet! Jared!” In my time with the stranger, talking in the beautiful garden, I had forgotten where I was. I was at a ball. It sounded like the king wanted to show him off to a lovely young lady he’d found sitting alone inside. “Jared! Where are you hiding?” The king was known for being loud and boisterous, and if I were his son I’m pretty sure I would try to disappear when he was drunk as well. I felt my handsome stranger begin to move, and I started putting this puzzle of an evening together. He gently removed himself from my side, stood in front of me and casually removed his mask. For some reason, it felt as if my eyes were playing a cruel trick on me or I was in some sort of sick dream because the friend that I had made now stood before me with all of his mystery gone. The man who stood before me was none other than Prince Jared. Jared was the prince that all of the women and their daughters swooned over. The gentleman every little girl in the kingdom said they were going to marry when they’re older. There were rumors that he was a womanizer, and that he only took pleasure in taking advantage of girls he courted. After our little garden session and the kiss, I assumed that girls never interested him, and these were just silly stories gossips created about him. I couldn’t believe I kissed Prince Jared. What would his parents think if they found out? They threw the ball in hopes of finding him a beautiful bride. The king and queen were known for trying to set him up with some young girl. This was the third ball they held this year. Prince Jared dashed away as quickly as I could blink. I heard the crowd from inside applaud when he made his royal appearance of the evening. The room quickly went back to their business, I assumed, because the orchestra started playing again. So, here I sat on a cold bench in the castle garden, surrounded by cherub statues waiting alone in the moonlight for the prince to return to me. What would my mother have thought of this meeting? Was this where she saw my life story going? I was the only one masked away in mystery, with many questions crossing my mind and not knowing how this night would change the rest of our lives. Who knew what the gossips would say about him now? Brandon Goode grew up in the small beach town of Melbourne, Florida. He attended Eastern Florida State College and Florida International University. 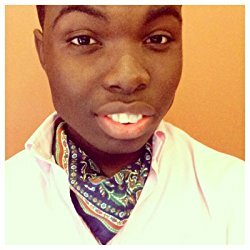 He has written for publications such as Florida Today, Florida International University Student Media, and the Disney Internships and Programs Blog. Brandon loves motivating and inspiring others, enjoys traveling, and eats an insanely amount of sushi every chance he gets. Oh, and he is obsessed with all things on the Bravo network.